Lynn Eib From the author of When God & Cancer Meet comes this powerful message for mourners. Each chapter contains inspiring real-life stories of grievers from all walks of life who have faced difficult losses. The focus of the stories is not the circumstances of how the loved ones died, but how those left behind are finding the strength to continue living without them. 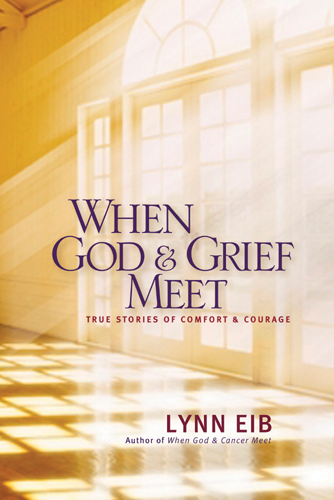 Written in the heartfelt, hopeful style for which Lynn Eib has become known, this book contains warn insights and true stories illustrating that God is close to the brokenhearted and can comfort and encourage those whose minds are filled with doubts and whose hearts are filled with grief.